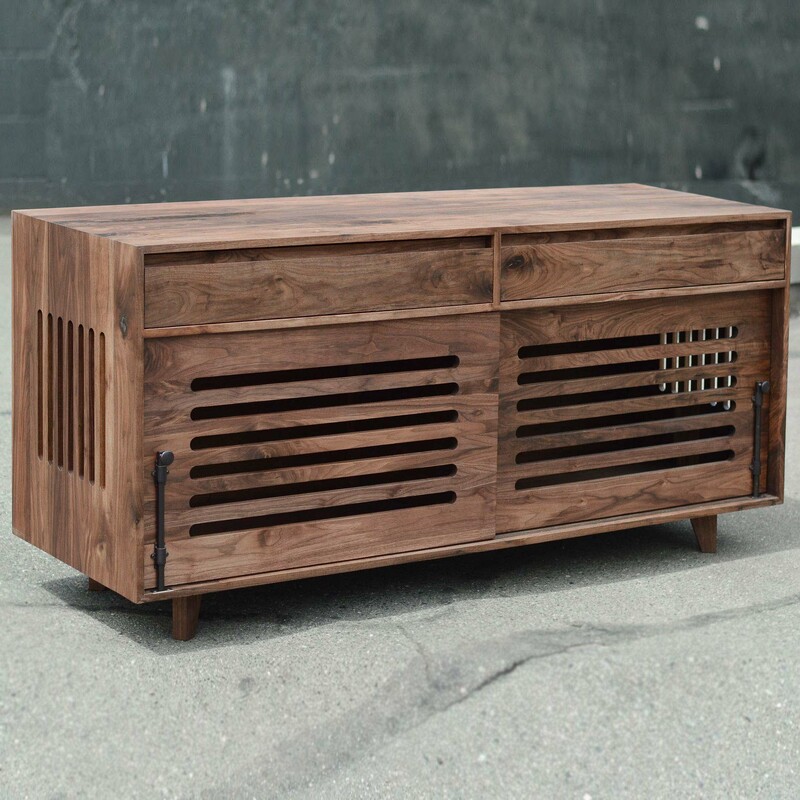 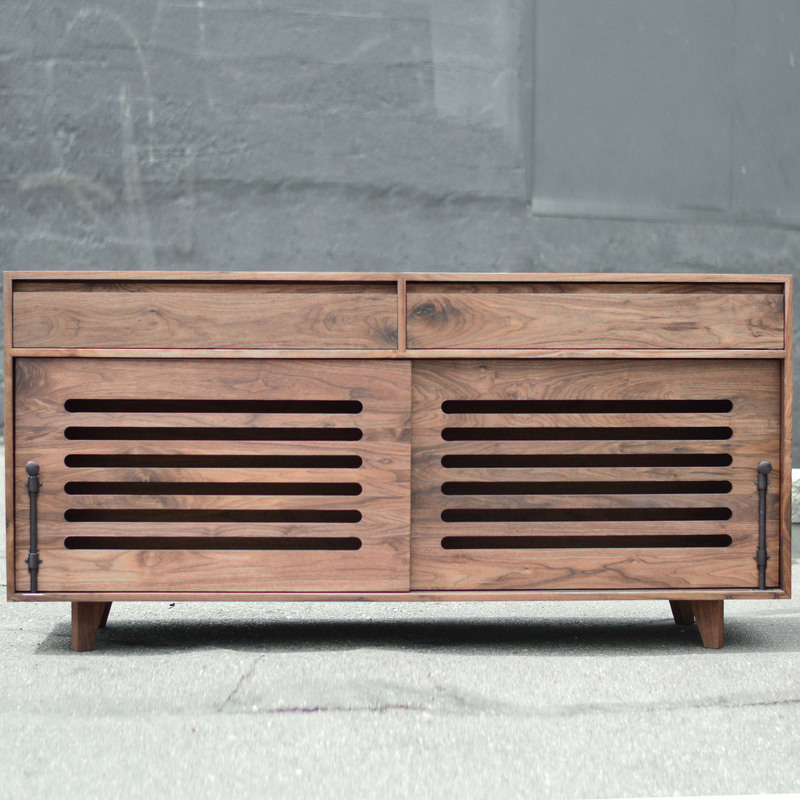 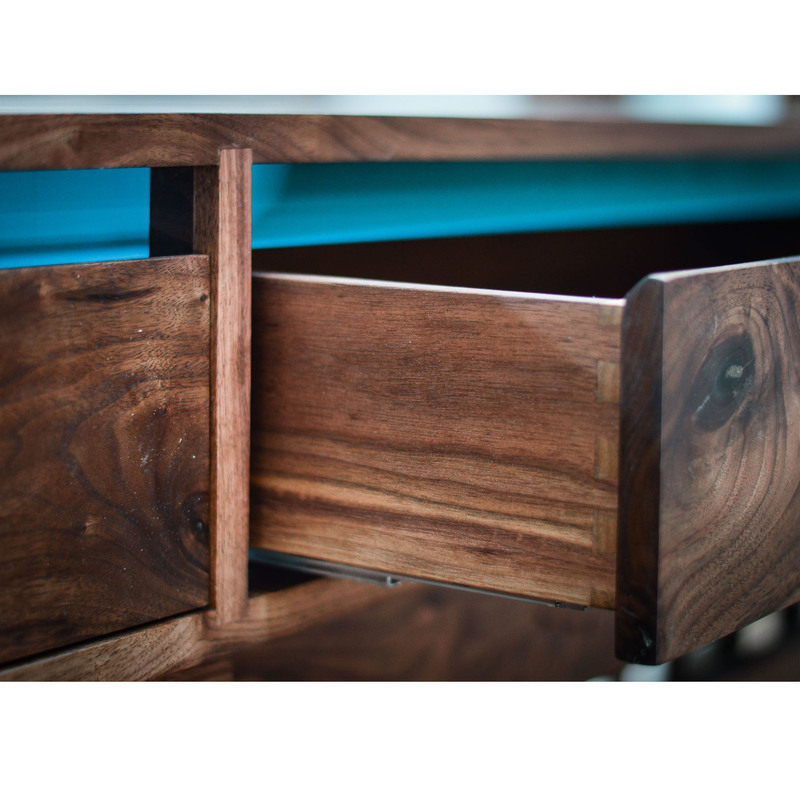 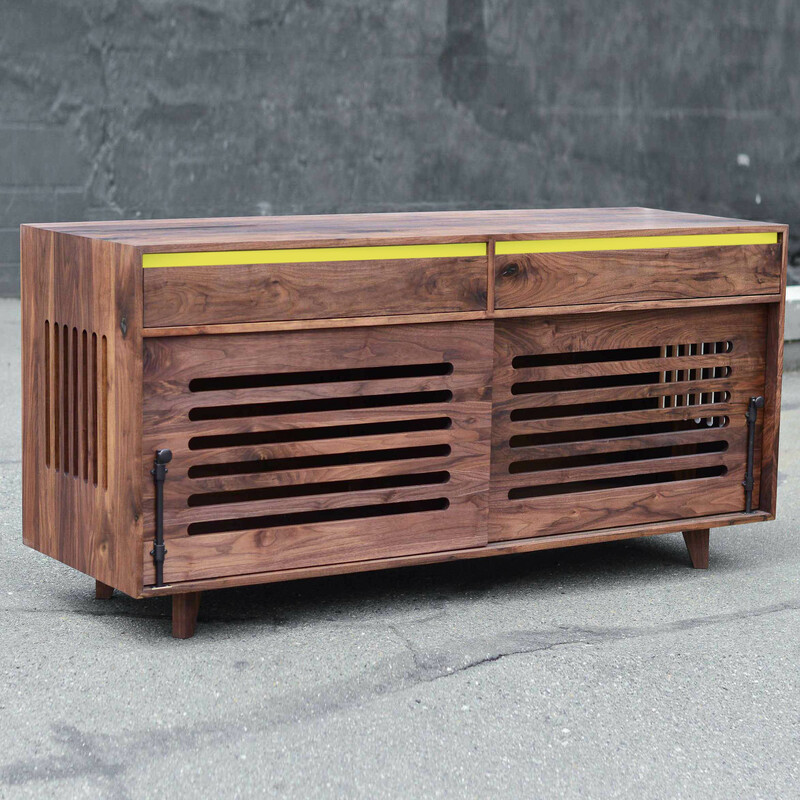 Handcrafted using traditional mortice & tenon and dado techniques, the Canine Credenza includes two oak dovetailed drawers on soft-close BLUM invisible hardware. 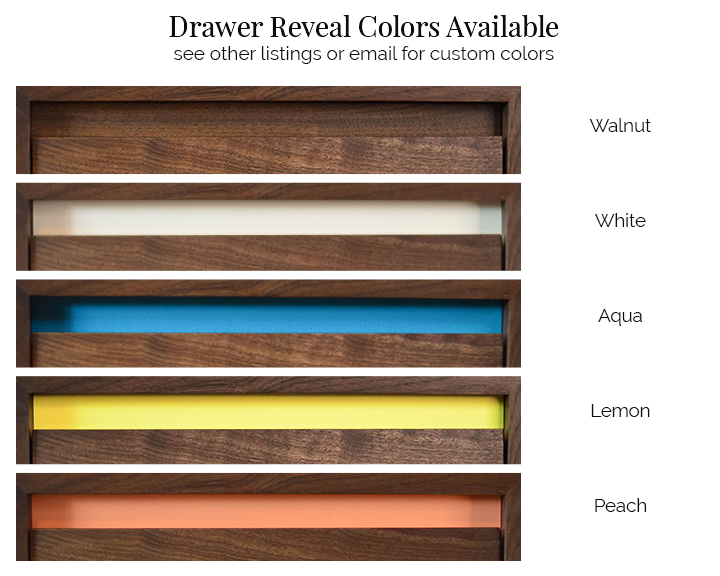 A pop of color is available above the drawer too – see our other listings. 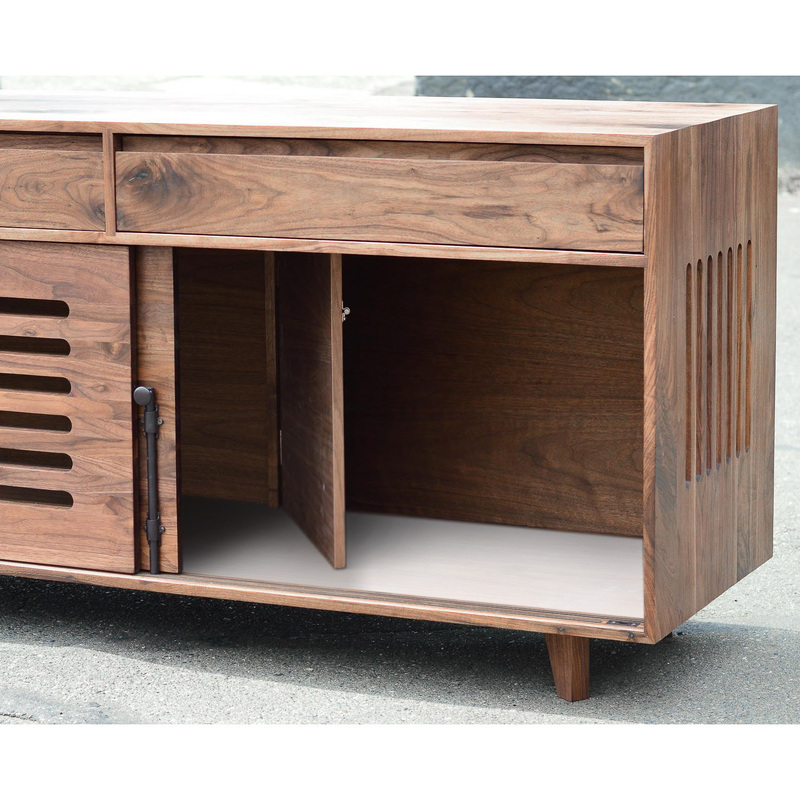 Two, 22″ tall sliding doors glide on rolling hardware and lock securely with a solid brass carriage bolt. 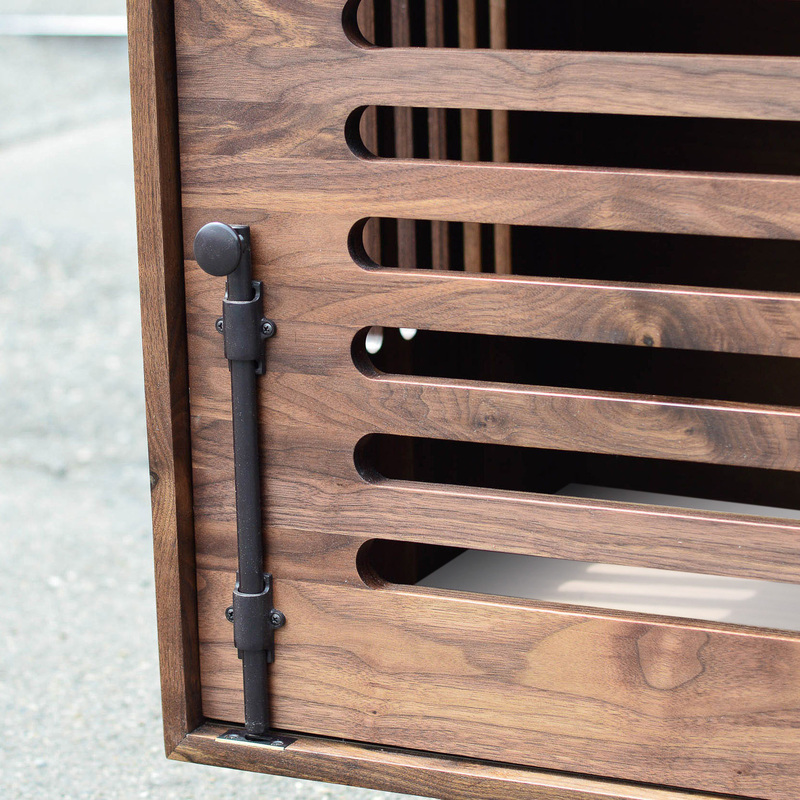 An interior hinged divider allows is available so that two dogs can have their quiet time if needed.